I needed firm and I can cut to the size I like. Cheaper than buying 4 pillows! This is an impossible item to purchase locally. So happy to find in online! 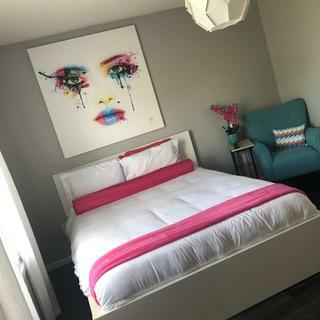 need to make a hospital bed look like a day bed for selling a house. Realtors don't like looking at a hospital bed. I am going to use the 2 lengths of bolster foam to make a long bolster that will go from the foot of my bed to the headboard. This will keep my standard poodle on his side of the bed! Right now, I'm using pillows to do this and they take up too much room. Without pillows or bolsters, he rests his head and chest on my legs and then I cannot move my legs, making a good night's sleep impossible. I can customize the length and its the right diameter. I needed a baluster for my queen size bed. I need it to go at the headboard area to stop falling pillows! Best price I could find and very hard to find the product. Hoping pillow will alleviate knee pain while sleeping on back or stomach. Can not find these size in any local stores. Need a good body pillow, specific store body pillows are not firm enough and collapse in a short time. Used a Bolster pillow as body pillow after back surgery and loved it, so I'll cut this down to size, stuff in a body pillow case and enjoy sleep. I found your site easy to navigate and it has just what I was looking for. This site is very user friendly. I am doing work for a very important client, and she is extremely happy with this product, per picture and description on your website. Thank you for making it easy for me to complete my project. Ordering for a client's window seat cushion project. My mom had knee replacement surgery and se is going to use to make a bolster pillow to put under her knee. is this something I can use for therapy on inner outer thigh pain? BEST ANSWER: The foam that this décor bolster is made out of may be too soft for therapeutic purposes, I would consult with your physical therapist or doctor before purchasing. Can you make one 12” wide x 60” long? BEST ANSWER: Sorry, we only offer two different sizes of this bolster foam. Could this be cut down to 47”? BEST ANSWER: Yes, you can use a serrated or electric knife to cut this foam. To make a straight cut, we suggest marking the 47" all around the circumference of the foam and cutting inward from multiple places to make sure the knife stays on the marks. Sure I used A sharp knife to cut mine to desired length. Into some sofa pillow. Not decorative but actual sofa. If i put the round bolster in the top, will it make it look more upright? I’ve stuffed them with bags of foam but it just bunches up. BEST ANSWER: I wouldn't recommend this bolster for that use. It is too firm and will never lay correctly. If you are still having trouble with bunching, you may not be using enough stuffing. What material is this bolster made of? BEST ANSWER: Medium density foam. I was having lower back pain and was told by my Accupuncture doctor to sleep with one of these bolsters between my legs, since I sleep on my side and that prevented my hip from putting pressure on the other underneath. Worked wonders! Do you have marine foam bolsters available? BEST ANSWER: Sorry, we do not. Hi -- Is the foam firm enough that you could drill a 1-2 inch hole into the center and it would maintain its shape? The hole wouldn't be the entire length, but if I were to cut the cylinder into 18 inch pieces. BEST ANSWER: You would probably need to create the hole by hand without using a machine as it may shred the foam a bit. Is this form like a sponge or hard? I need one for cushy body pillow. 6" x 60" long available? BEST ANSWER: It's more firm than a body pillow. Where could I find covers to fit these? BEST ANSWER: Sorry, we don't sell covers. People usually make their own cover with the fabric of their choosing. Are there smaller in diameter ones? About 3 inches in diameter? BEST ANSWER: This 6" bolster is the smallest we carry. What would be the best diameter to select for use as armrests on an outdoor swinging daybed? The frame will accommodate a standard twin mattress and I'm using wedge foam cushions at the back, as well as throw pillows. I'm torn between 8" and 10" diameter for the armrest cylinders. Suggestions?? Thank you. BEST ANSWER: Since you're using throw pillows in addition to a bolster, the smaller one should be fine. BEST ANSWER: We don't think it will work for this purpose. Is this foam firm enough to stay straight without kinking if put on end and stood upright? BEST ANSWER: Yes, the foam should stand straight. Can you do 12 with by 72 long? Can you buy a cover for this product? The bolster was exactly as advertised and was perfect for my needs. I bought this item to put in a pillow case and use as a body pillow, very satisfied. 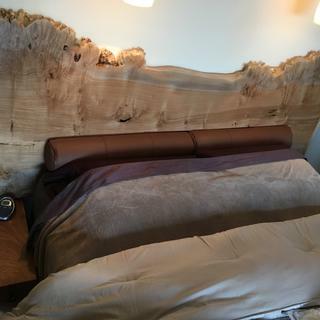 Fast Shipping....love the pillow...and it finishes off the bed. I love it. I searched for a hot pink bolster pillow and couldn't find. So I attempted to make one. Love it! I needed to make a hospital bed into a sofa bed. I was using a gueen size coverlet to place on bed and use the excess to cover the bolster. I did use the bolster as you would a pillow tucking it under and pulling spread over the bolster. Real Estate agents loved the way it looked. Wonderful service on a great product. Finished bolster in leather against new headboard.